We're used to wearables today that can capture our every move. They're great tools to keep you on top of your health and fitness goals. But what about your little ones? 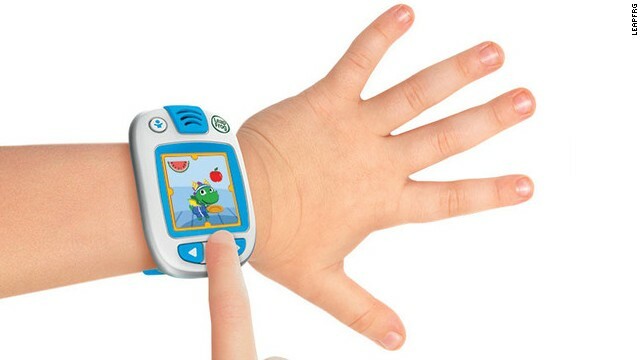 Believe it or not, wearables for kids have made their way into the market. Whether you're tracking their sleep patterns, physical activity, or just want to know where they are, these wearables will help you keep them healthy and safe. If you're already thinking of gifts for the holidays (no judgement here! ), take a look at these high tech gadgets for the youngest members of your family. A smart onesie might raise eyebrows, but consider this the baby monitor of the future. The Mimo Baby Monitor includes a kimono, a "turtle" which collects information about your baby's sleep habits and more, and a "lilypad" which helps stream that data to the Mimo app. Each time your baby rolls over, awakens, or cries out, the Mimo monitor will track it in real-time and alert you right away. The app can also help you record that data so that you can see your baby's patterns over time. Pretty nifty, huh? Despite all of that high-tech gadgetry, the Mimo Baby Monitor uses an extremely low power bluetooth signal which is the same as having an audio monitor in the room, making it completely safe for your baby. The kimonos are 100% organic and machine washable. And if you're a parent of multiples, great news! You can use the Mimo monitor for each child as long as they have their own separate turtle. Compatibility: Mimo app is available on both iOS and Android devices, and accessible from anywhere in the world. Price: $199 for the starter kit per size (0-3 months, 3-6 months, 6-12 months); Starter kit includes 3 Kimonos, 1 Turtle , and 1 Lilypad (home WiFi base station and charging pad). Already generating lots of buzz, the Sproutling Baby Monitor may be your child's first wearable band. 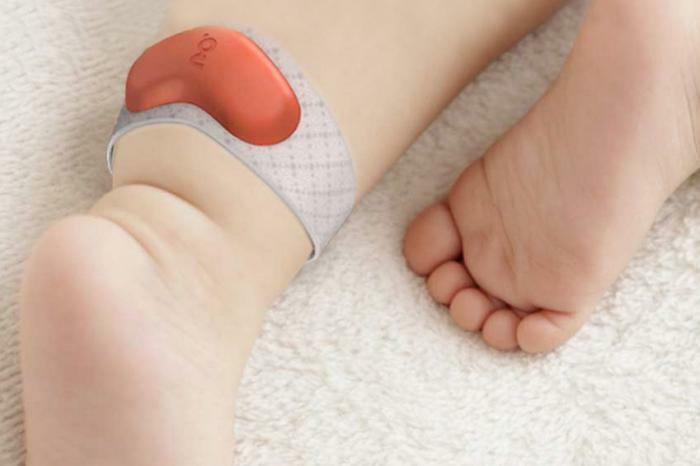 The band captures your baby's movements, heart rate, and body temperature and then syncs with a mobile app. Taking it one step further, Sproutling detects environmental factors, like humidity and ambient noise in your child's bedroom. All of this data helps paint a picture of what factors affect your baby's sleep patterns, giving parents important insight and recommendations early on. Compatibility: Currently works on the following iOS devices: iPhone 4S, iPhone 5, iPhone 5S, iPhone 5C, iPad 3, iPad 4, iPad Air, iPad Mini, iPad Mini 2, and iPod Touch 5G. We will support Android 4.1 and above by March 2015 ship date. Price: Available for pre-order only at $299. Orders shipping March 2015. There is nothing scarier for a parent then losing a child. There are a number of child-location devices on the market, but most are GPS-based and come with a hefty price tag. My Buddy Tag offers an affordable wristband with an ID tag and panic button, and uses bluetooth technology to help alert you via your smartphone when your child has moved outside of your proximity. The perimeter ranges depending on where you are; 40 feet if you're in a house with lots of walls, 80 to 120 feet if you're in open space. The app helps keep track of where and when your child was last seen, including map locations. Available in 5 colors. Compatibility: iPhone 4S, 5, 5C, 5S and Samsung Galaxy S4 & Note 3 using Android version 4.3 only. 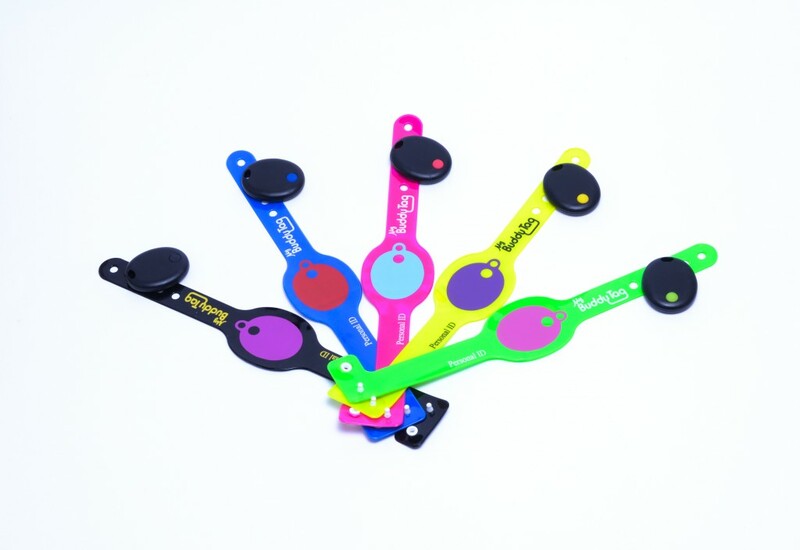 Join your kids on the fitness fun by picking up an iBitz tracker for both you and your child. The GeoPalz pedometer comes in fun colors and clips onto your child's shoe or waistband to track their steps throughout the day. All of their movements sync wirelessly to an app which offers kids a fun, interactive game that include virtual characters they keep healthy with healthy eating and exercise. 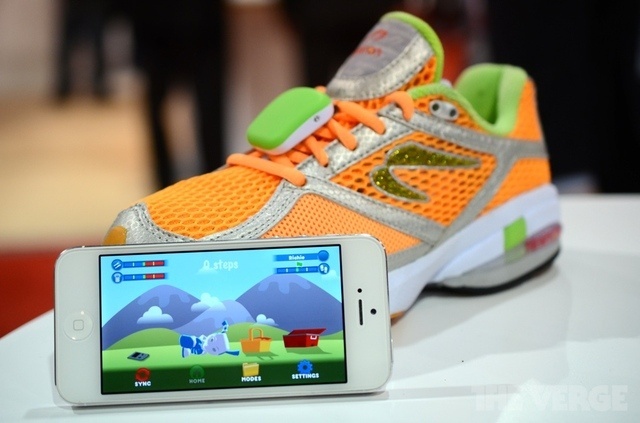 The adult version comes without the game, but does offer a personalized experience as it tracks your steps, distance, weight, overall physical activity, and even BMI. Challenge your kids to a step-off and see who wins! If you're considering getting your child a phone, be sure to take a closer look at FiLIP, a cell phone reimagined for kids as a wearable device. Not only can FiLip put you in touch with your child by phone, but it also acts as a locator. Using GPS and Wi-Fi triangulation, FiLip gives you ease of mind by letting you know where your kids are when they've stopped to call home. There's also an emergency button that can trigger an automatic location beacon, ambient sound recording, and calls each of the five contacts until one is reached. Worried about exposing your child to excessive radio waves? No need with FlLip. It's designed to emit radio energy only when active, and directs it away from your child. Compatibility: FiLip works on the AT&T network and is compatible with Android and iOS phones. 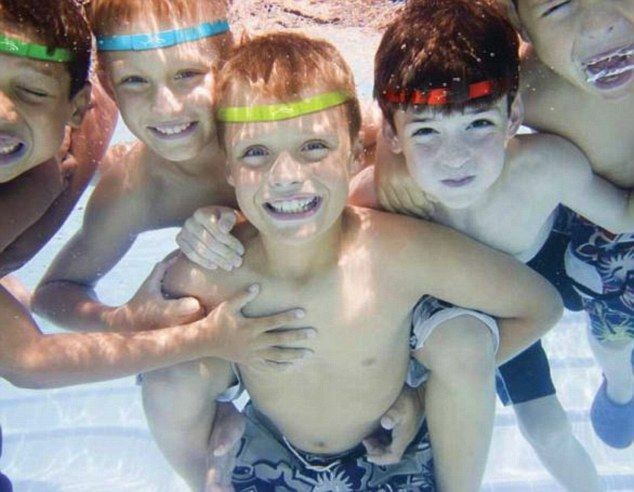 You may start seeing kids sporting these cool new headbands at your next pool party. These headbands aren't just accessories; they're wearables that help parents keep track of their kids in the water. We love that there are two options for both swimmers (headband or goggle strap) and non-swimmers (wristband). Even better, the tiny waterproof sensor in the wristband can be placed in a pocket, making it suitable as a man-overboard alert for boaters, and for monitoring your family pets around water. The iSwimband makes it easy to practice water safety for the entire family! Compatibility: Each iSwimband must be connected to either an iPhone 4s+, iPod Touch, or iPad 3+ for active monitoring and alert notification. Each iOS device (iPhone 4s +, iPad 3+, iPod Touch 4+) can monitor up to 8 iSwimbands. You can also add compatible iOS devices to be used as additional monitors via WiFi when available. You'll never have to worry about your kids coming home with a ruined smartphone, thanks to TiniTell. 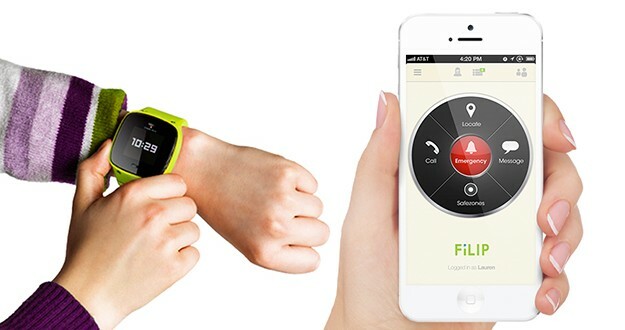 Tinitell is a wristphone and GPS locator for kids, that's both durable and waterproof. It's designed to be easy to use, with a voice recognition function that allows your child to make calls hands-free. The materials are environmentally friendly, and Tinitell minimizes any mobile radiation keeping your child safe. It works with any GSM SIM and you can manage all functionality from your smartphone. Leap Frog was the first to jump into the wearables for kids ring with the Leap Band, an activity tracker with challenges that encourage kids to move through an interactive game. There are plenty of options to customize the games and activities to keep kids entertained and moving all at once. Each of the games offers kids a chance to earn points and win prizes by having them take care of a virtual pet with healthy eating and exercise habits. Leap Band is water-resistant and includes parent guide, USB Cable, and rechargeable battery. Suitable for kids 4-7 years old. Compatibility: Most iOS devices running 6.0 or higher, Google Android devices running 4.03 or higher and Leapfrog Wireless Tablets. 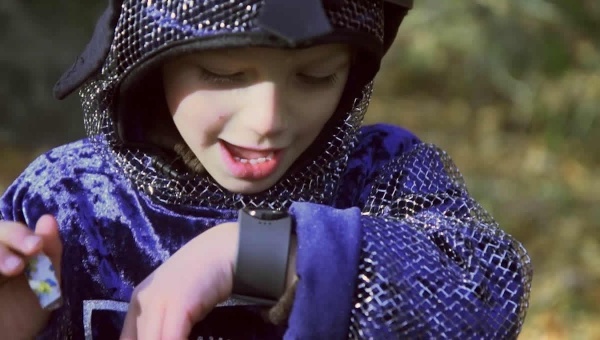 How do you feel about kids using wearable devices? Would you use one for your children? Did we miss one that you love? Be sure to check out the Kinsa Smart Thermometer and app, the best gadget around for tracking kids' health.